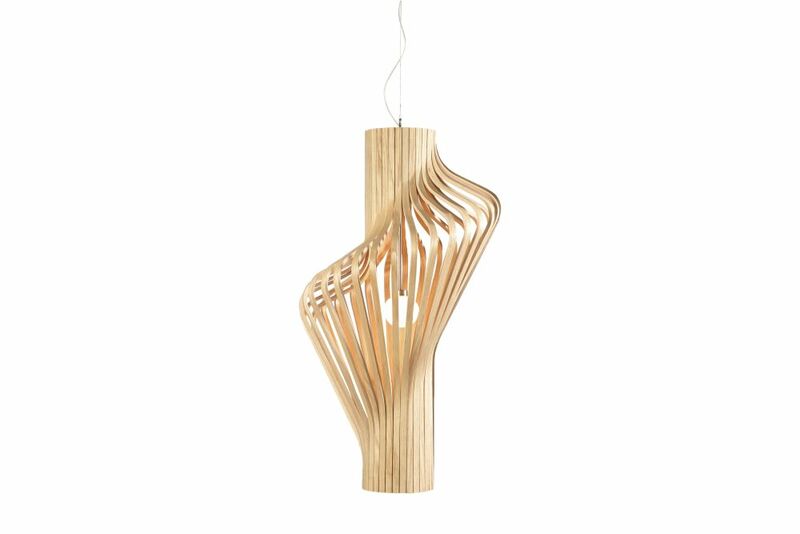 Christened with a name often given to extravagant personalities, this set of bent plywood pendant lamps has a lot to live up to. Like others who share the name, Diva takes centre stage. When suspended from the ceiling, the pendant version provides an attractive focal point while softly diffusing light over the room beneath it. The shade’s spiralling shape creates a multi-directional design that can be appreciated from two different vantage points, forming two distinct versions of a single design. The floor lamp is attached to a discreet base made of polished steel. The inner stem supports a mouth-blown glass globe with a frosted surface that softens the light. Both versions of Diva are available in laminated oak or walnut, materials chosen for their ability to create sweeping, sculptural shapes that remain durable and strong. Peter Natedal (born 1981) comes from a family with a long tradition of furniture retailing, based in Porsgrunn, Norway. He graduated with a Masters in Furniture Design from Oslo National Academy of Arts in 2008. He currently lives in Porsgrunn, where his work includes creating light and furniture designs, 3D modelling for clients, directing hotel interior projects and working in his family’s furniture shop. Thomas Kalvatn Egset (born 1981) comes from a family with a long tradition in furniture making, from on the west coast of Norway. He graduated with a Masters in Furniture Design from Oslo National Academy of Arts in 2009. He now lives and works in Oslo as an independent furniture designer. His key professional inspiration is his grandfather, worked as a furniture craftsman.